HP Linux Imaging and Printing (HPLIP), a HP-developed solution for printing, scanning, and faxing with HP inkjet and laser based printers in Linux now is at version 3.14.3, which added support for new printers, new Distro’s as well as various fixes. 1. Download the .run file from sourceforge page. 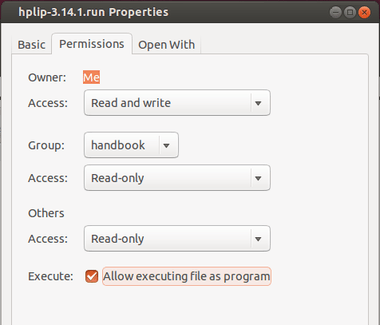 Answer the questions and you’ll finally get the latest version of HPLIP installed on your system.